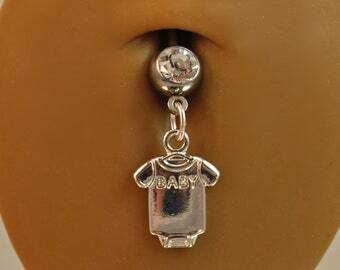 This flexible maternity belly button ring has a silver "It's A Girl!" 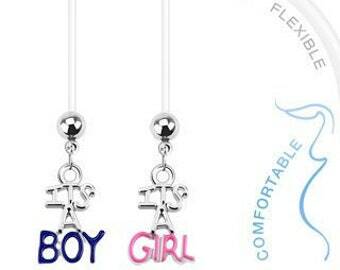 charm attached to a flexible and comfortable PTFE bar. The PTFE bar is available in 5 maternity lengths. 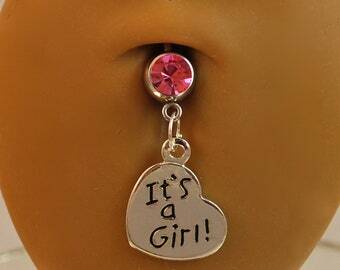 FYI - the 1.25 in length is almost twice as long as a regular belly button ring. The PTFE can easily be cut and shortened so you have a perfect fit. 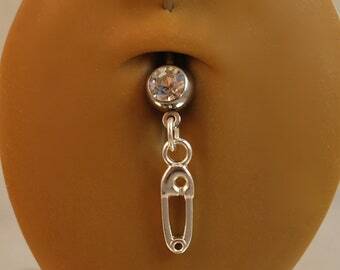 Instructions on how to shorten your belly ring are included with purchase. 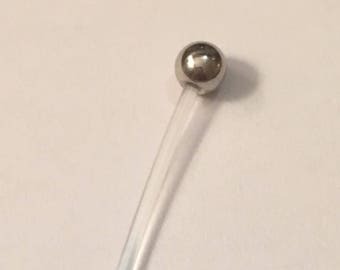 It comes with a 5mm steel ball on top. 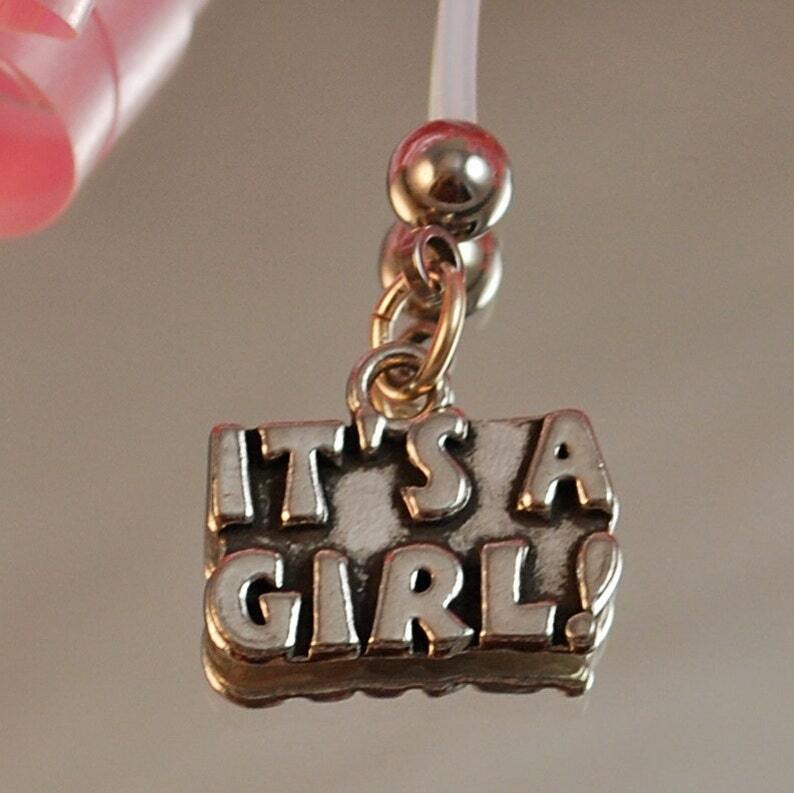 Charms are lead free pewter and made in the USA. 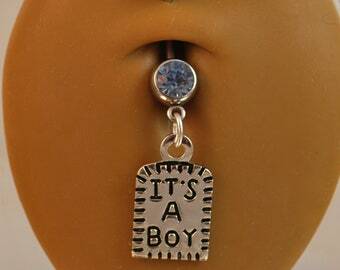 Instructions are included with your purchase and are also available under my SHOP POLICIES link.